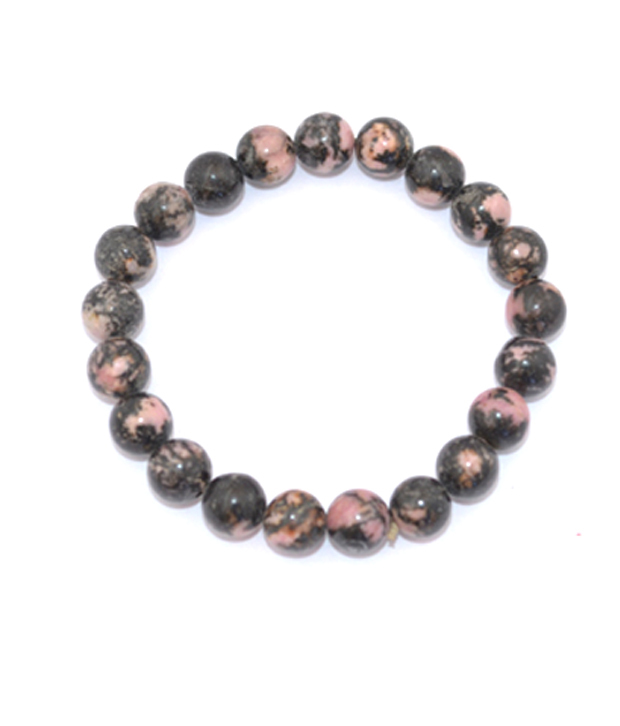 These Energized Semiprecious Rhodonite is known for their capacity to bring emotional healing and to release blocked energy from within the heart chakra. They have a strong heart based energy, that has a useful healing vibration to help with relationship problems. By its action to stimulate acceptance, forgiveness and unconditional love towards others, it helps to bring peace to troubled relationships. These stones are an excellent balancer of the emotions, and during traumatic times, this stone can be used to calm you. Having a piece on your body, may help to stop you from taking action when you are feeling angry, fearful and panicky when traumatic events are unfolding in your life. The energy of this stone also helps you to discover innate talents that you may not have been aware of... and work out the best way to utilize them. Use them in meditation to help you to discover where your destiny lies. Disclaimer: These Semi Precious stone/Beads are believed to bring about all the good things. We do not guarntee its success and are not responsible for any claims. Any person with a conditions requiring medical attension should consult a qualified practitioner or therapist. Product colour may slightly vary due to photographic lighting sources or your Screen settings.